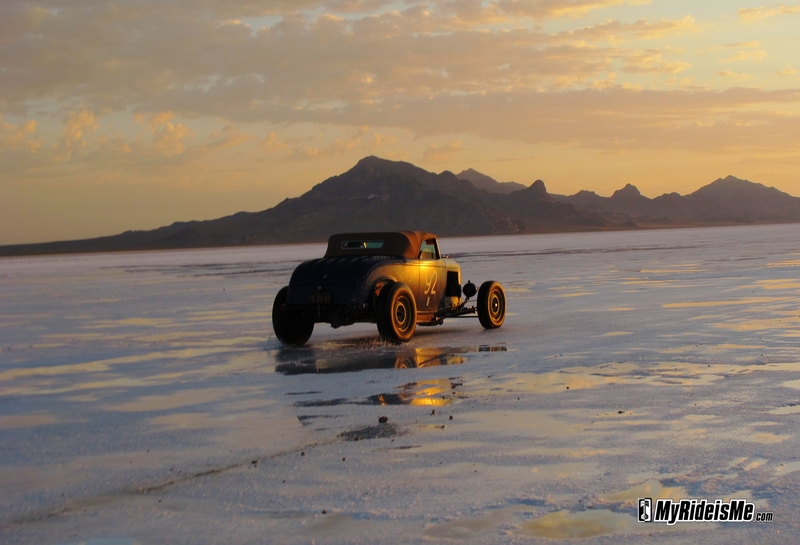 Being out on the Bonneville Salt Flats for Speedweek is an amazing experience like none other. I always return with way too many pictures then I can post to the web and way too many thoughts than I can convey in my stories. 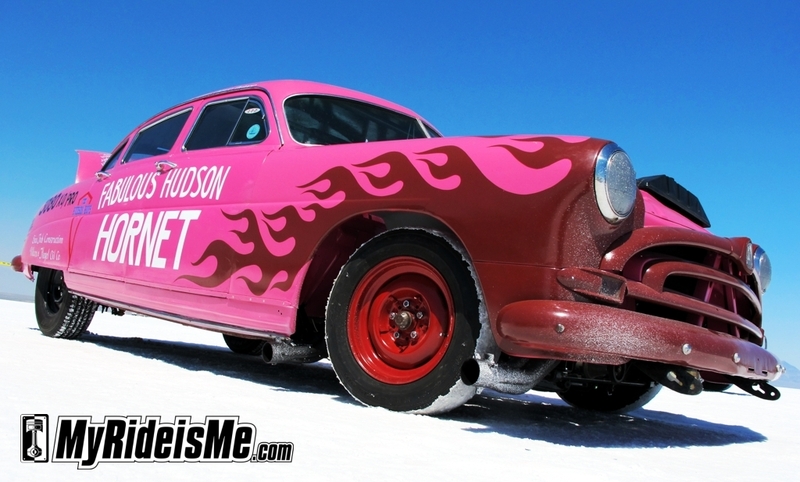 So here it finally is – Grease Girl’s Speedweek Summary and Salt Flat Favorites for 2011! This 63rd Speedweek saw 160 records broken – 93 for cars and 67 for bikes. 21 new members gained entry into the 200 MPH Club, 6 of those being the 300 MPH Chapter. Walking around the pits for someone who is on their path of learning about mechanics is akin to a physics student being able to go back in time and spend a week with Albert Einstein. The veterans are out there, putting their skills to the test. Ingenuity reigns, as cars try set ups and find solutions that may have never been done before. Every stop in the pits is an opportunity to learn something new. Each year I’m there it gets harder to resist begging a team to entrust me with turning a wrench on their race car. And each year I’m there I resolve to one day build and bring a car of my own. Even though I haven’t reached that level of knowledge yet, I’m never disappointed by the willingness of salt folk to take time out and explain something new to me – sending me off with much more knowledge than I came with! Its fun to see someone I love and who loves cars just as much as I do get to experience the salt flats for the very first time, so on the top of this list, is my boyfriend. He’d never been to Bonneville and he totally fell in love with it. Not only old friends were seen, but new friends were made. 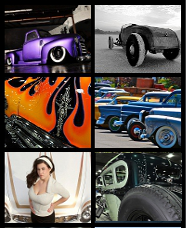 Specifically Skip and The Hudson Boys, Greg and his record breaking Salt 2 Salt Studebaker, and the whole team at Speed by Spectre. While everyone was fretting that a storm over the salt would ruin chances of racing, to see the clouds roll in at the end of the day was a beautiful sight. Thunder boomed and lightening flashed over the floating mountain. The storm hit in force but luckily went by quickly. Rolling onto the salt the next morning looked like a real lake for a moment, but soon the water parted and dry salt appeared. In the process, I snapped this picture which is so perfect it almost looks like a painting. 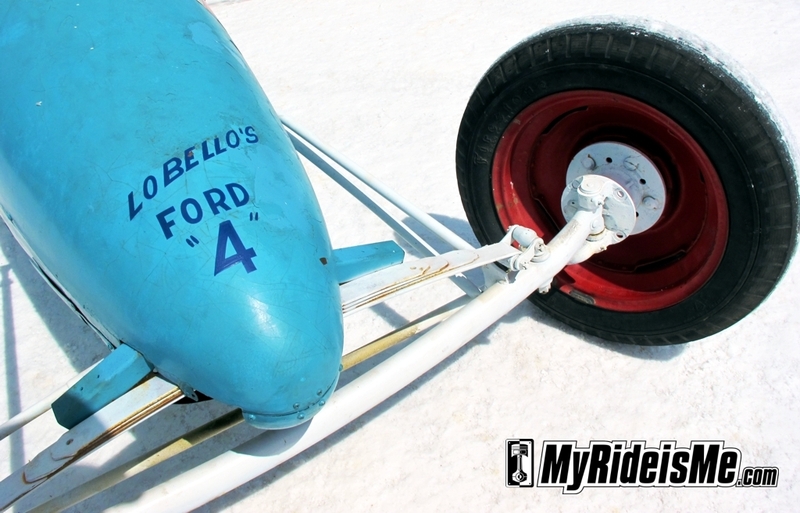 Being at Bonneville brings many more cars to look at then just those that are racing. It’s a rolling car show all week really, as roadsters and hot rods cruise the few miles between the pits and the starting line. I couldn’t seem to just pick one…so here’s a few on the top of the list. This very cool old skool bellytanker didn’t appear to be racing – it was hanging out in front of the Monster booth (they give out free drinks!) Already in love with bellytankers, the nice blue color, moon discs, and cute little body of this one made wish I could tuck it under my arm and give it a hug! 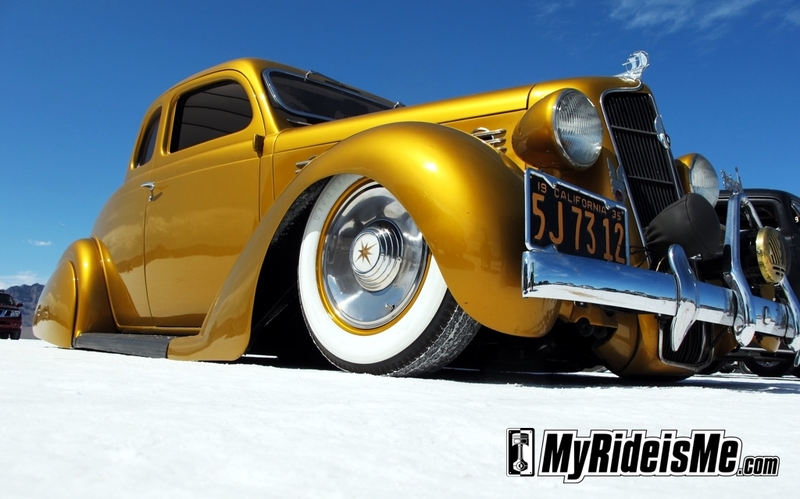 This Hudson is in lieu of any Studebaker’s in this favorites list…I’ve already covered the Studebaker’s pretty thoroughly in my Speed Seeking Studebaker’s series! This Hudson Hornet still runs its Straight-8 and is just a really neat car! I already shared one picture of this gold beauty. But everytime I look at it I smile, all that gold rolling over all that white. What looks to be a near show-quality car speeding down the salt tells me that people are still willing to actually *drive* their cars! I couldn’t help sharing this one again as well. With a lot of obvious thought put into it – from the little sculpted rat on the radiator cover, to the small “hairs” sticking out of the tail. 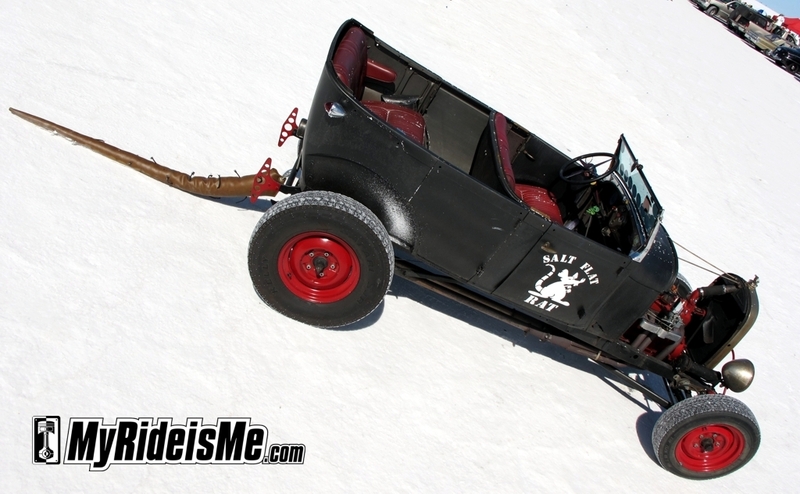 This rat rod isn’t an excuse to get away with shoddy workmanship, this one is just pure giggle-worthy. Or maybe I should call it a dream. I’m not going to be able to continue just attending Speedweek as a Spectator. I want to build a race car. I want to drive down that flat expanse of salt and see how fast I can go. Maybe not next year…but eventually. What about you? 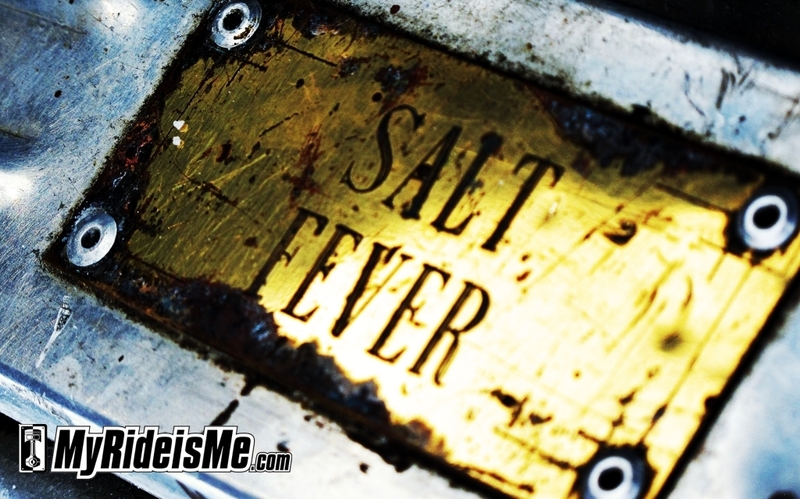 What’s your favorite salt flat thought or sighting? It seemed like it was a great speed week, only one thing that could of made it better ME BEING THERE! No serious it seemed great, all the records broken, a guy almost reaching 400, Cadillac Powered Streamliner it seemed like fun.